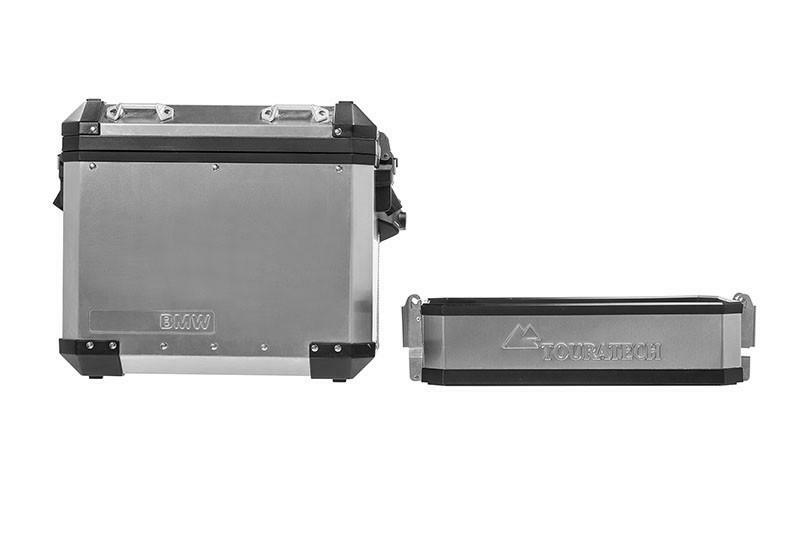 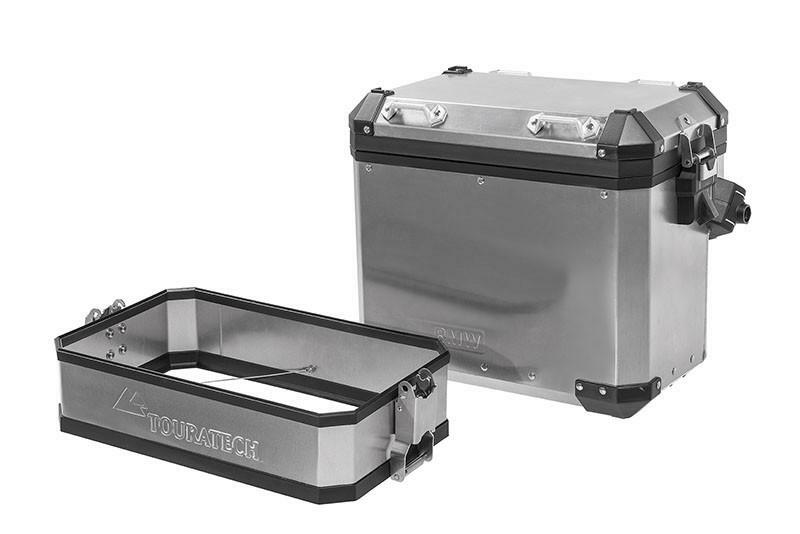 Instantly increase your BMW aluminum pannier system's capacity by 12 liters per side with this clever "Volume Booster" kit from Touratech. 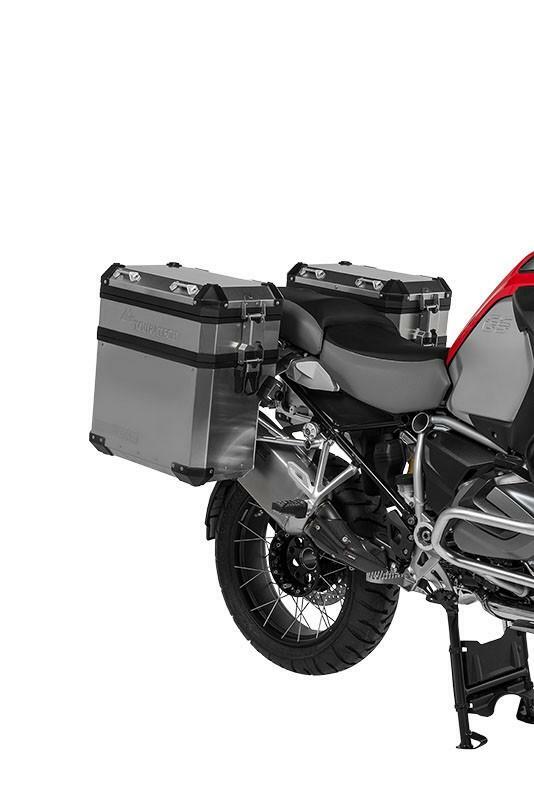 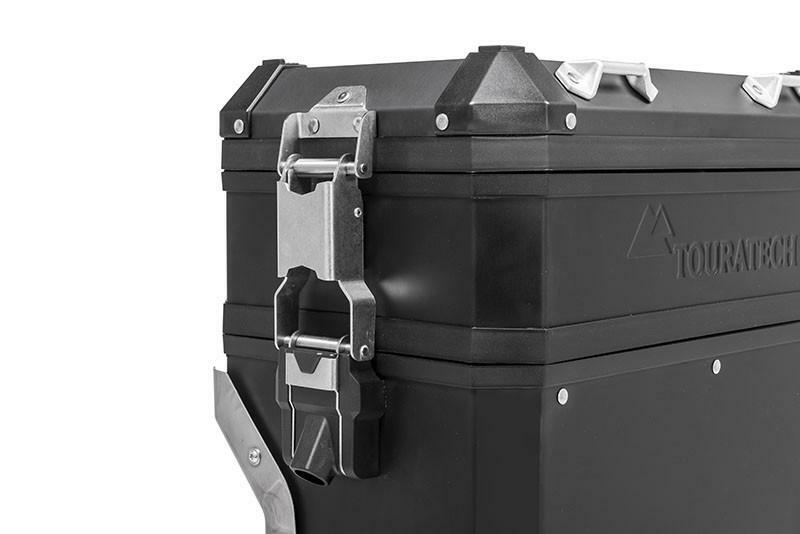 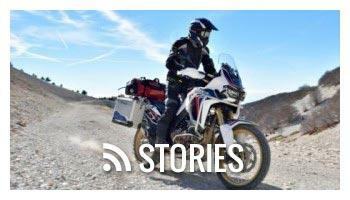 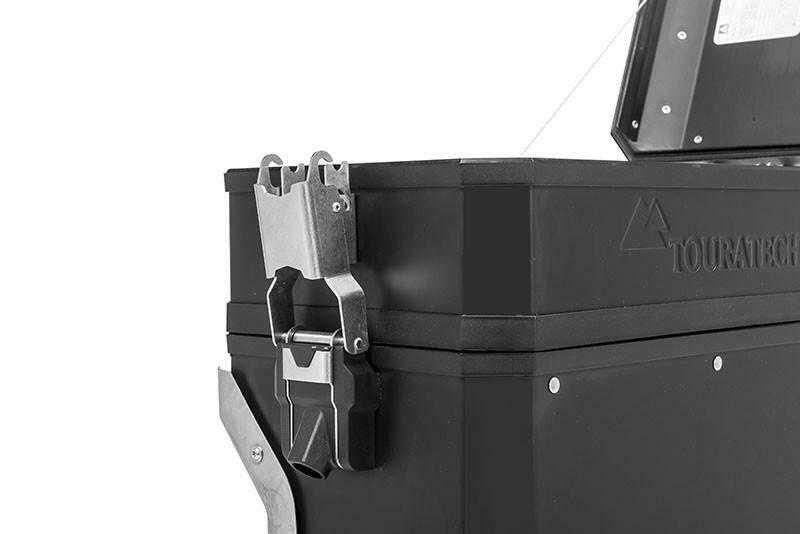 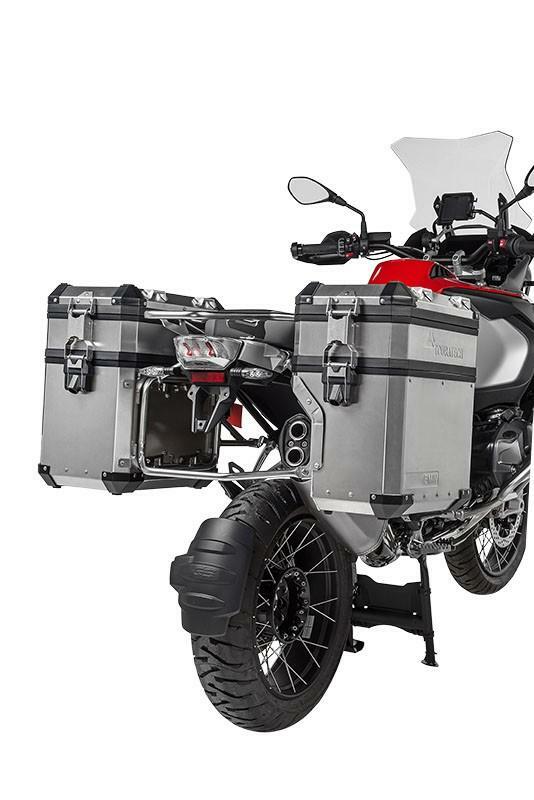 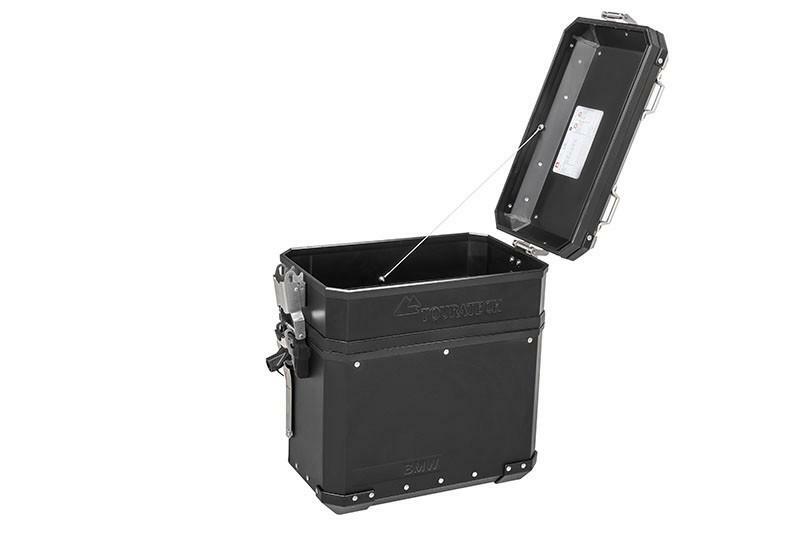 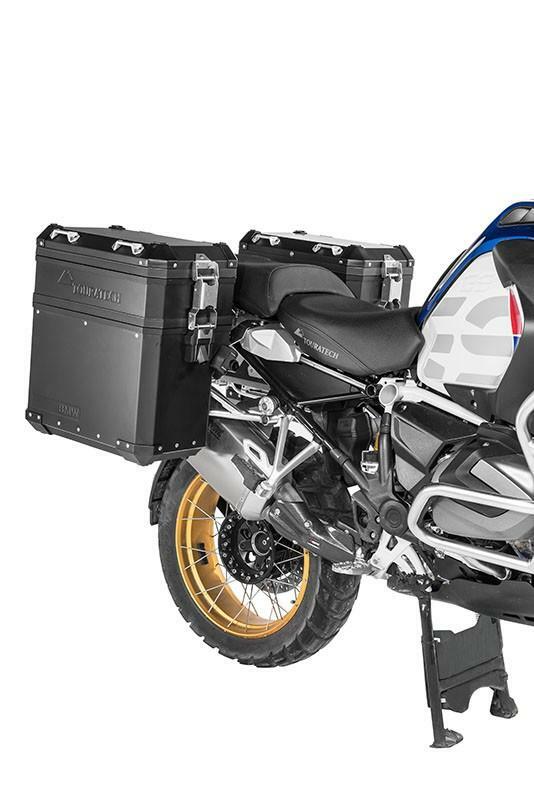 Compatible with the OEM BMW aluminum panniers on the BMW R1250GS, F850GS, F750GS, and R1200GS/A (liquid cooled), these extensions are a quick, secure, and watertight way to expand your cargo carrying ability. 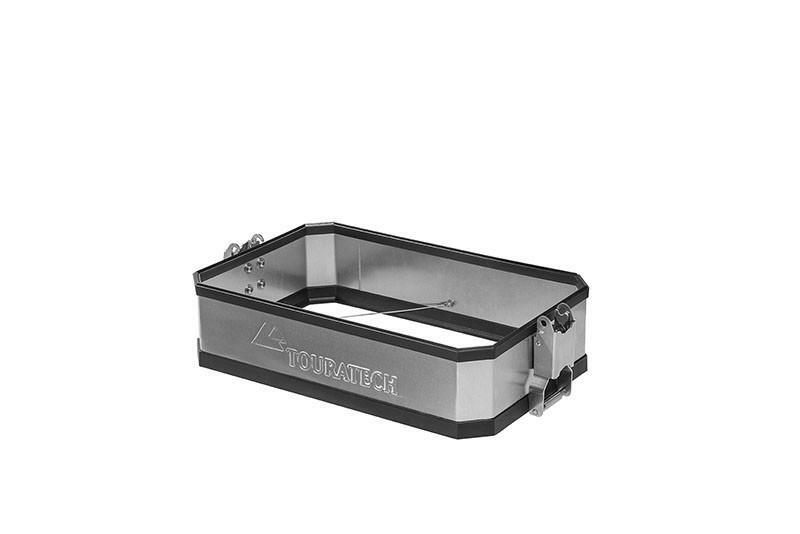 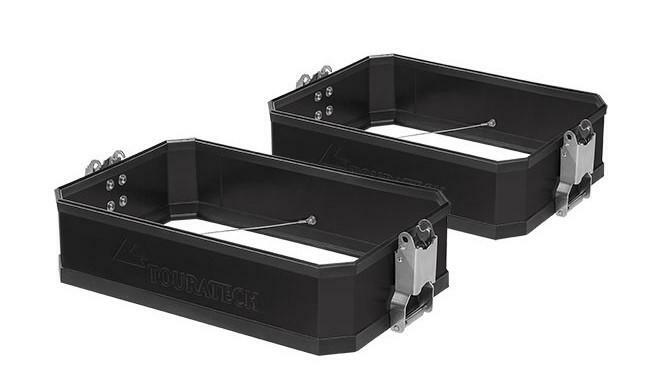 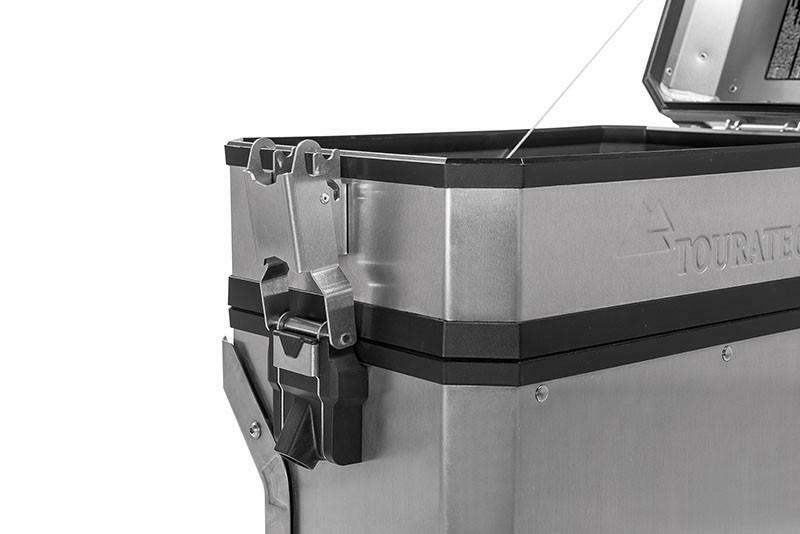 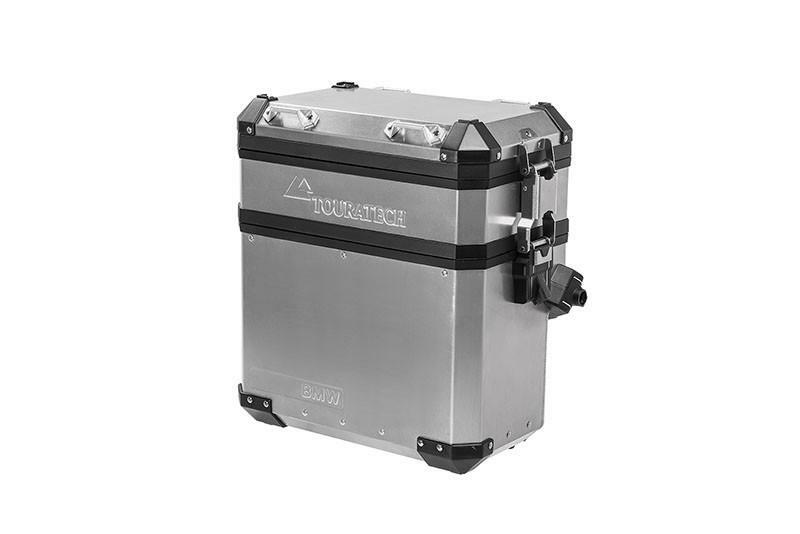 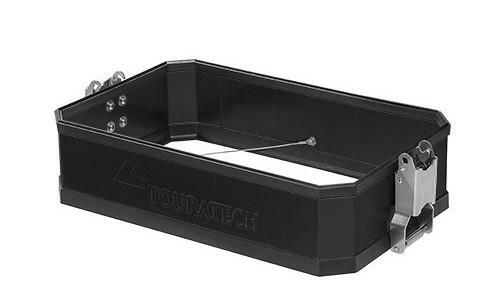 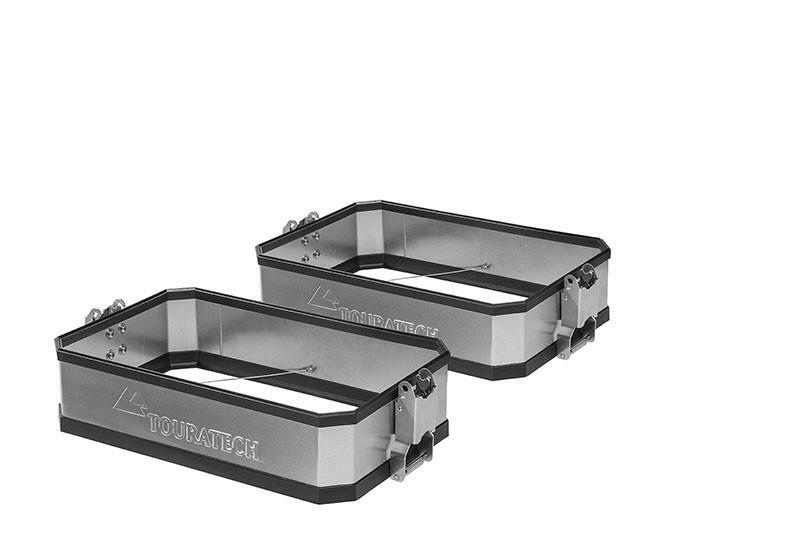 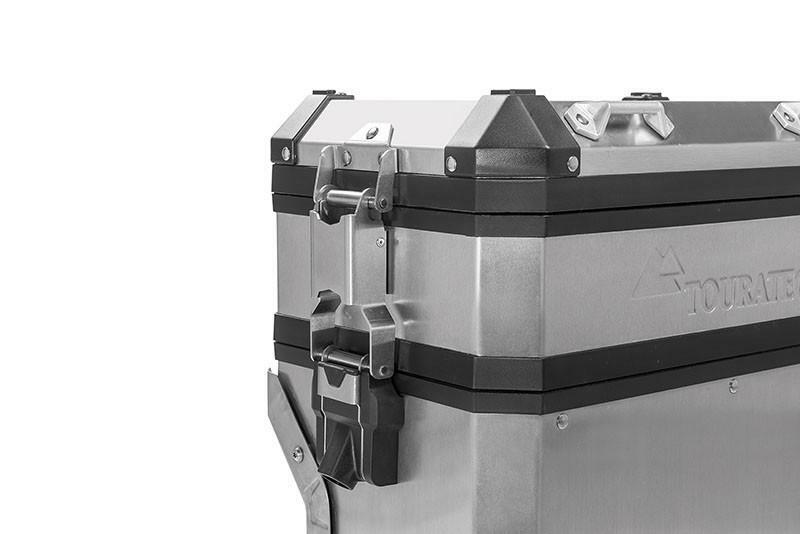 Built and designed by Touratech, the original equipment manufacturer for BMW aluminum panniers, you know these volume boosters will match the stock side cases perfectly and will be the same great quality. 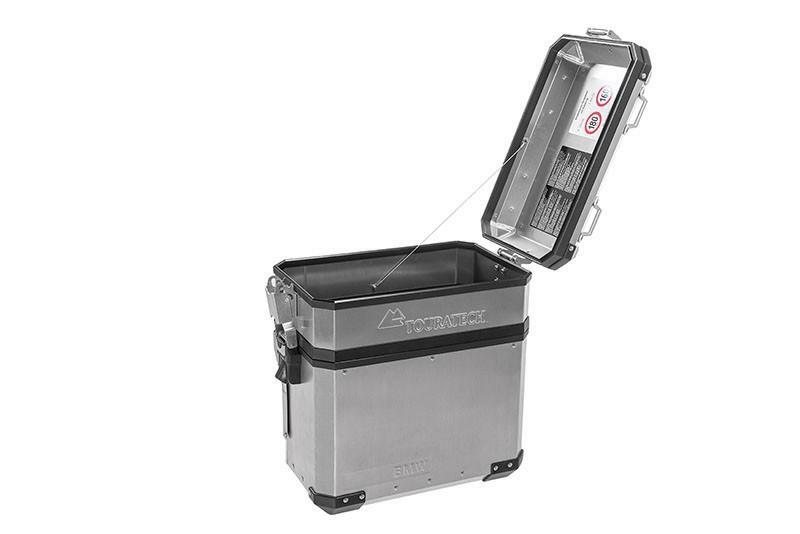 Simply place these aluminum lid spacers between the pannier box and the lid and latch down like normal. 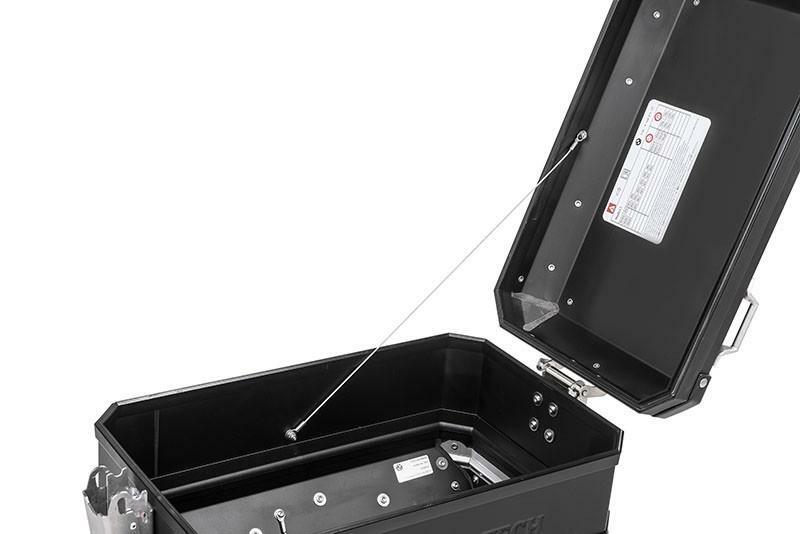 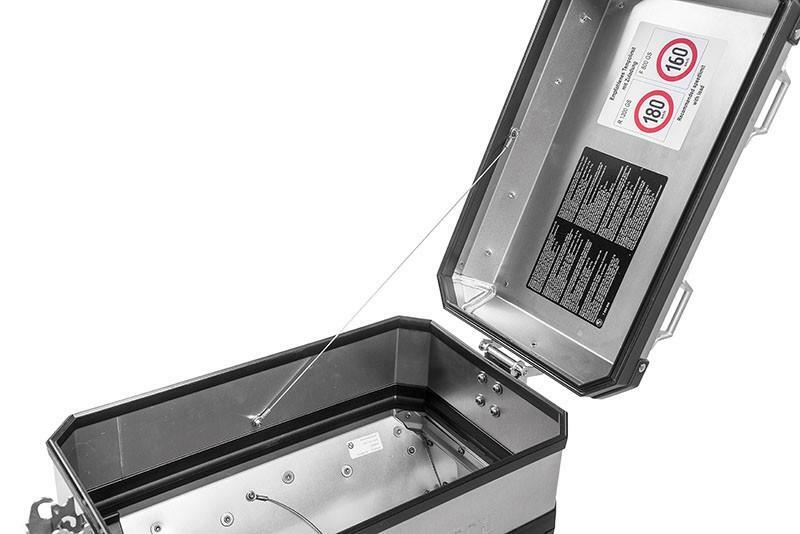 The boxes still operate with a hinging lid and locking latch with your ignition key. 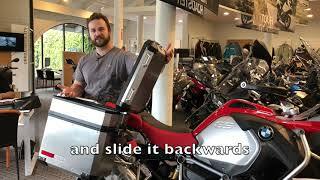 When you don't need the room, simply take them off. 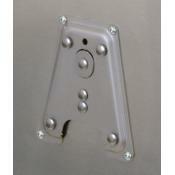 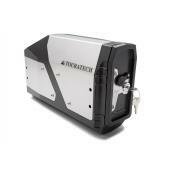 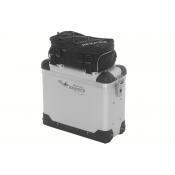 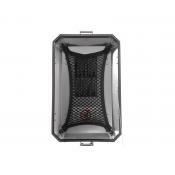 There is no better way to securely expand your luggage system's capacity. 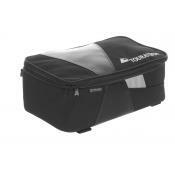 Available individually or in a pair, so you can decide to expand both pannier or just one. 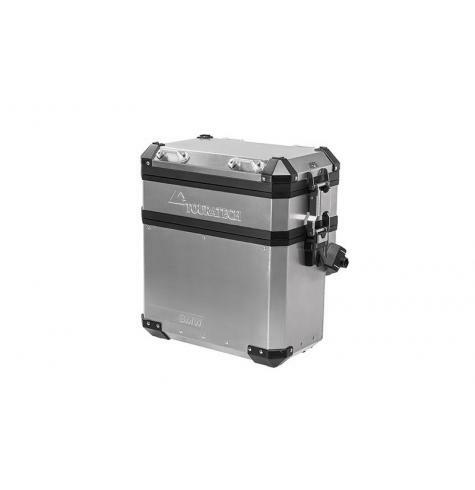 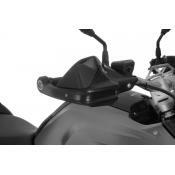 Increases the capacity of each BMW OEM side case by 12 Liters! 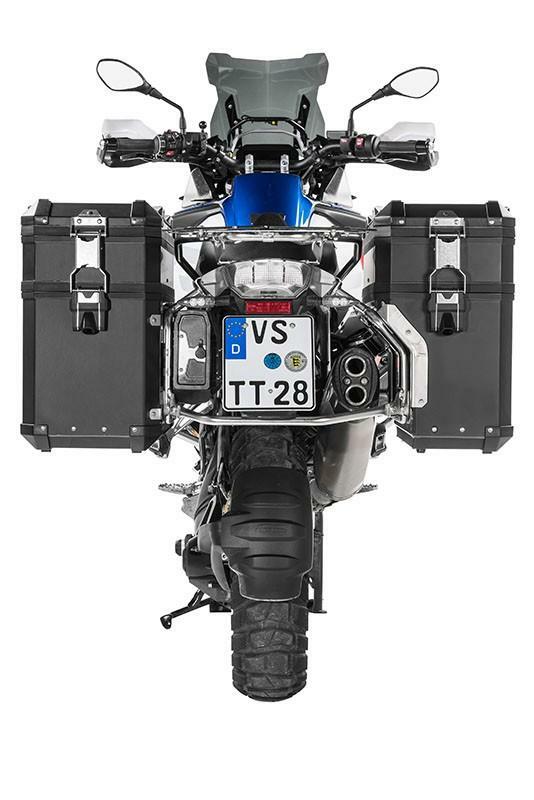 Does not increase weight capacity of OEM luggage, please follow OEM weight limits when loading bike!